At least once in a lifetime, everybody experiences love, but instead of soaking in the beautiful feeling of admiration and concern, people often end up getting hurt. There can be plenty of reasons, but the one that can be considered most prominent of all is the difference in the opinions of the individuals so involved. We all want different things from our relationships and it’s mainly because we have different traits and characteristics based on our zodiac sign. Like most aspects of life, it is very less to do with love. It’s all in our stars. 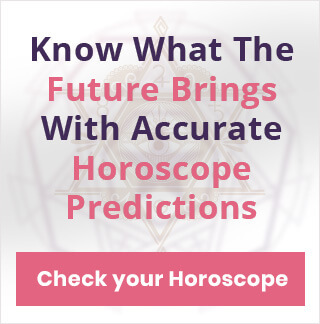 So read on to find out what each zodiac signs reveal about your love life and make sure you take the right decisions when it comes to love. Aries: Aries are known for their strong-will and never-say-die spirit. So when it comes to #love, you’re not the kind of person who would give up on his/her hobbies or social circle just after meeting the right person. Also, you’re straightforward with your opinions. So, if there is something that’s bothering you, you’ll not hesitate in addressing it directly. Given your upfront nature, you’re more likely to get into conflicts and arguments. Taurus: Taurus is very concerning and will make sure your partner always feels needed. Plus, Taureans are probably the most sensual signs in the entire zodiac, slightest of the hints, and they’re onto it in a flash. You have the habit of getting too emotionally entangled so unfortunately at times you might look desperate to the others. Try and be a little more patient. Cancer: You will always be ahead of your partner in terms of emotional maturity but this particular trait may not always work in your favour. For the fact that you’re a highly nurturing individual, you might be taken advantage of, so watch out for such people and maintain distance. Make sure you’re on the same page with your partner before landing on any important decision. Gemini: Gemini are probably the most scintillating, high-spirited and friendly people around. If someone has caught up your attention, you’ll not waste a minute approaching them. You like to socialize and mingle, but that’s not the problem here. Your weakness lies in your urge to overthink stuff for no significant reason. Try and look after this little concern and you’ll be alright. Leo: Leos live for attention and they can go to any length to attract people they like, which is a good thing. However, it can get you into needless arguments so even if you don’t want to, most of your relationships will be short-lived. Unlike others, you have to work on your interpersonal skills before getting into something serious. Virgo: You’ve everything that it takes to be a desirable partner. You’re practical, considerate, think rationally, and above all, respect your partner more than anything. But something that might put you off is your inability to be emotionally expressive. Be confident about how you feel, put up your say, and make yourself clear. Libra: You’re a social bird, one who has plenty of friends and multiple romantic partners. Your idea of a relationship comes with both advantages and assured setbacks. Instead of a relationship that swings like a pendulum, you need stability. It comes with more responsible dating choices. 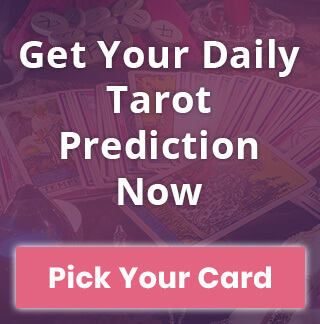 Scorpio: Like the Tarot card of death, Scorpions have a keen sense of judgment. You’re not the kind of person who would end up getting hurt that easy. Plus, you’re great at communicating with people which will work to your advantage while establishing a fine relationship. However, this contemporary approach may intimidate a people so look into it. Sagittarius: The only way forward for you people is the practicality of a relationship. If it isn’t working for you, you’re not going to waste a second crying over it and move on. But on the flip side, your willingness to call it quits just so easy may lead you to make some consequential decisions. Try to manage that. Capricorn: It’s very difficult to win your trust, and while getting into a relationship, there is no room for negotiation for you people. This will be considered an asset as long as you’re flexible. If you go a step further with this protective hard exterior sort of attitude, you’ll fall flat. So it is advisable for Capricorns to be more subtle with their approach. Aquarius: You’re not very social, and prefer keeping your emotions to yourself. There is a certain mysterious aura surrounding your personality which will surely attract a lot of romantic prospects. But what you think is natural may appear cold to others. So it is equally important for you to make a romantic advance as much you like it from the others. Pisces: You’re compassionate, caring, and sympathetic. You’ll be at your best to make your partner feel loved. Plus, your peace-loving attitude will avoid any kind of conflict that can possibly arise between you and your partner. But it’s important to remember that as much important it is to be humble, be careful you don’t undermine your own self-respect. Don’t go all harsh on yourself just to make the other person feel happy. 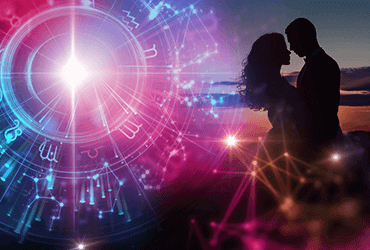 Astrology and zodiac compatibility is a significant factor for a #relationship, and knowing a bit more about yourself and your sign just gives you an upper hand. So we hope you like this article and find yourself in a better place after reading it. Check your Love Horoscope to know the surprises that await you in your love life.